Here's an excellent way to integrate your ceiling fans into your smart home. Smart ceiling fans—models with wireless remote controls and digital-assistant compatibility—are a relatively new thing. But you can still control a legacy fan if you replace your in-wall switch with something like Lutron’s Caséta Fan Control. It’s not an inexpensive option, especially if you don’t already have a Caséta bridge connected to your router, but it is a very good one. The Caséta bridge isn’t required if you have no intention of integrating this fan controller into your broader smart home system, but most TechHive readers will. Lutron’s Clear Connect Wireless technology is at the heart of the Caséta product line, and it’s a robust competitor to the broader Z-Wave and ZigBee ecosystems. I consider those platforms broader because lots of companies build hardware based on Z-Wave and ZigBee tech, where Lutron is the only source of Caséta devices. That said, in addition to this ceiling fan controller, you can buy Caséta smart plugs, in-wall dimmers and switches, and wireless remote controls to go with them. Once you have a Caséta bridge connected to your router, you can also control Lutron’s line of Serena motorized window shades as well as Hunter brand smart ceiling fans. 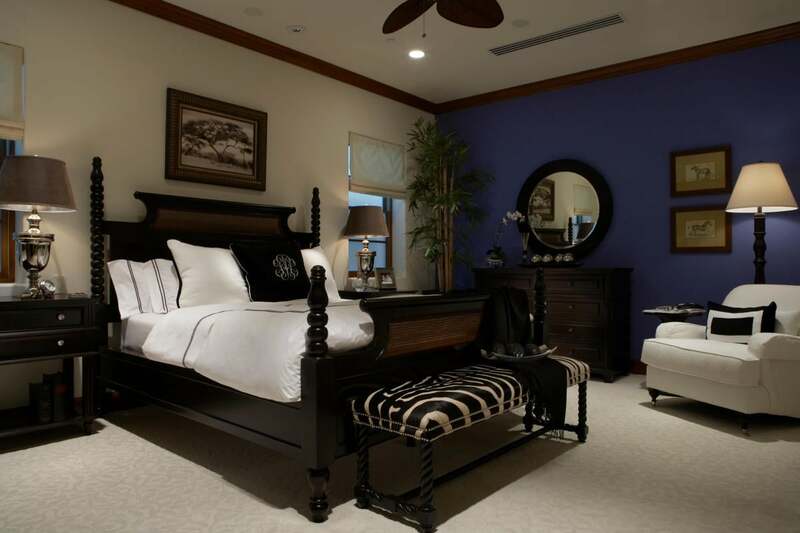 Lutron’s Caséta Fan Control is easy to install, provided your home has a neutral wire. Lutron has also made a strong effort to make its devices interoperable with other smart home products, perhaps most importantly with smart speakers powered by Amazon Alexa, Google Assistant, and Apple’s Siri. You can also integrate Caséta devices with Nest Cams (if the camera detects motion, the bridge can turn on Caséta-controlled lights); the Nest Protect smoke alarm (if smoke is detected, the bridge can turn on lights and open your window shades); several brands of smart thermostats (temperature controls are integrated into the Lutron app); and even Sonos multi-room audio systems (you can create scene-based lighting with music). As I mentioned earlier, if you don’t already have one, you will need to purchase a Caséta Smart Bridge with your first Caséta product, which adds a not-so-trivial cost (about $80 on Amazon). But the second-generation model is HomeKit-compatible if that’s important to you (and if it’s not and you already have the first-gen bridge, there’s no need to upgrade). The bridge is also available in various bundles with Caséta lighting controls. Actually, buying one of Lutron’s Caséta starter kits is the smartest way to go, since you can get a starter kit with an in-wall dimmer, Pico remote, and the bridge for about $90 on Amazon. Lutron unfortunately does not currently offer this fan controller in any bundles. Assuming your ceiling fan is already controlled by an in-wall, single-pole switch, replacing it with the Caséta Fan Control is a cinch—provided you don’t make the mistake of not setting up the fan itself beforehand. 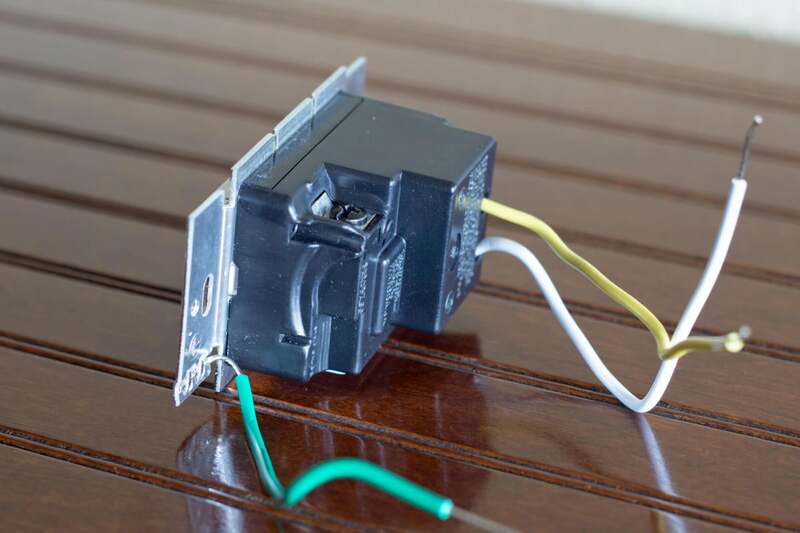 So, before you turn the power off and disconnect your existing switch, turn on your ceiling fan and use its chain to set its motor to its highest speed. If you don’t do this, whatever speed it’s at will be as fast as it will turn when you install the new fan control. You might also need to snap off some of the new fan control’s side sections if you’re mounting it in a box next to other switches or dimmers. You might need to break off the tabs on the side of the fan control if you’re installing it in a junction box alongside other devices. You’ll need a rocker-style switch plate cover in the event you’re replacing a toggle-style switch, but you don’t necessarily need to buy Lutron’s pretty-but-pricey Claro snap-on cover (which offers the benefit of hidden screws). Please note the Caséta Fan Control operates the fan only, so if your fan also has a light, it will be controlled separately. 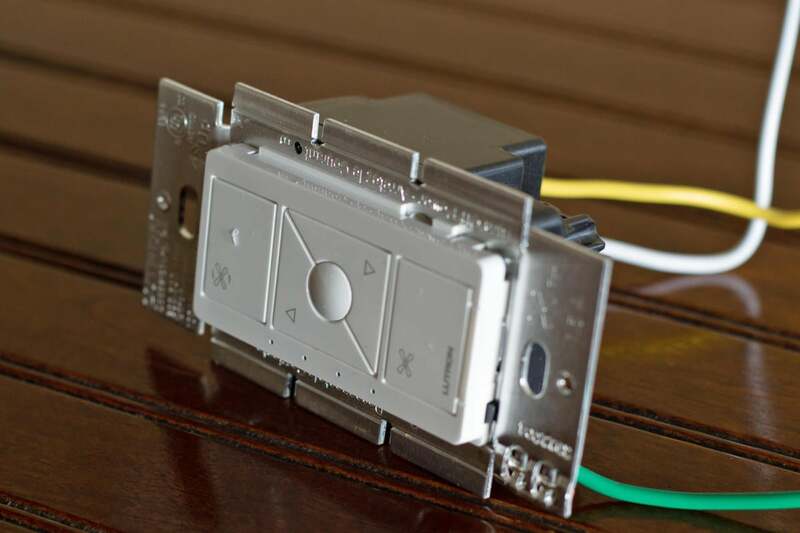 And if the fan is controlled by a three-way switch instead of a single-pole, you’ll also need Lutron’s Pico Remote and Pico Wallbox Adapter (you can read the details on that here). The Caséta Fan Control has five buttons: The large buttons at the top and bottom turn the fan on (at full speed) and off respectively; two triangular buttons in the middle increase and decrease the fan speed (in four increments); and a round programmable button in the middle memorizes your favorite fan speed. A column of four LEDs glow to indicate the fan’s current speed. These are dark when the fan is turned off, so they don’t add to your room’s light pollution. Lutron’s smartphone app offers the same controls that you’ll find on the device itself. Once installed and integrated with your digital assistant of choice, the easiest way to control your ceiling fan is to talk to your smart speaker. 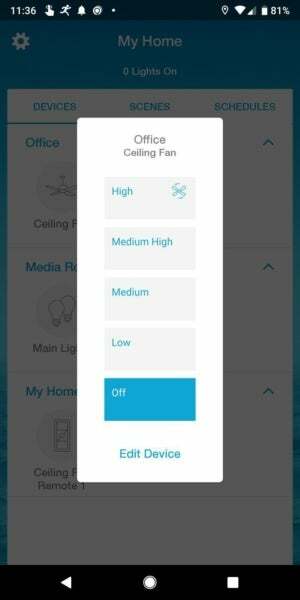 I assumed I could do that the same way I control my smart lighting controls, by using percentage values (e.g., “Alexa, turn the fan on at 50 percent.”) But the Caséta Fan Control only recognizes on, off, low, medium, medium-high, and high—easy enough to remember once you get used to it. If you don’t have a smart speaker, or you just don’t want to talk to it, you can control your ceiling fan with Lutron’s diminutive Pico Remote. It has the same five buttons as the in-wall control (and there’s an optional bracket available that lets you dock it to a junction box in the wall), but it’s quite expensive ($30 at Amazon) and its small size makes it very easy to lose track of. You can buy a new smart ceiling fan for as little as $250 these days, but it’s a whole lot easier to swap out a wall-mounted switch than to replace an entire ceiling-mounted fixture. And the fan you already own might be of higher quality. The Lutron Caséta Fan Control is of very high quality, it’s supremely easy to install, and when tied to the Caséta bridge and a smart speaker, it will become an integral part of your smart home system even if don’t use other Caséta products. I use a Vivint Smart Home system, for example, and have Leviton Z-Wave fan controls for some of the ceiling fans in other rooms in my home. But since I typically use voice commands to control fans, it doesn’t matter that the Caséta fan control isn’t integrated with the Vivint Sky control panel or the Vivint smartphone app. And when I do control the fan from the wall, the speed buttons on the Caséta fan control are far superior to the thin bar on the Leviton control. The Lutron Caséta Fan Control is a bit pricey—and the Pico remote is stupid expensive—but it’s a high-end device that delivers convenience in spades. The Lutron Caséta Fan Control is just the ticket for integrating existing ceiling fans into a modern smart home.